kirupa.com - Where Will Your Styles Live? Now that you have a better idea of what a style is and how to work with selectors to make your style work, let's jump the next hurdle - figuring out where your styles will live. As with all things in HTML, there many ways to do something simple. Putting a style somewhere so that your content can be styled is no exception. The end result is identical in both of these cases - the styles you defined get applied. There are some advantages and disadvantages based on which location you put your styles in, but I'll discuss that in more detail towards the end of this tutorial. For now, let's just assume everything is equal and look at how to create styles in both of these locations. 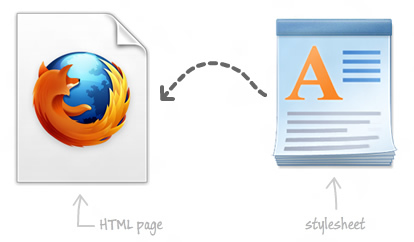 Let's say you want to define your styles in the same HTML document as the content you actually want to style. Within your document, you can either specify your styles inside a style region or inline with the HTML element you are wishing to modify. Within this style tag, all of the style rules that affect your document will live. You've probably seen me using this approach for declaring styles in many of my tutorials. You may feel that declaring styles in a style region towards the top of your HTML document is a bit impersonal. You have your HTML elements somewhere, and the CSS styles that make them look stylized live elsewhere in your document. That's where inline styles come in. With inline styles, your HTML elements and style rules get really up close and personal. The way you specify that is by setting the style attribute on the HTML element you are styling. The value of your style attribute will be a collection of CSS property and value pairs. There you have it - styles that live inline on the HTML element you wish to style. The last approach we are going to look at is the extremely impersonal approach where you define your styles in an external file known as a stylesheet. 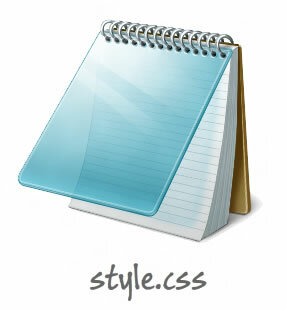 This stylesheet is referenced in the HTML document whose contents you are wishing to style. For an example, you can see a live version by looking at the contents of displayServerTime.css that I created earlier. Notice that there is no additional markup describing this document as a stylesheet. You just have your style rules. When your HTML page loads, it will load the CSS file from the location you specified. All the styles declared in that stylesheet will get applied. That's all there is to it. At this point, this is really the important question to ask. You have three places to specify where your styles will live, and some of these places are nicer to live in than others. Let's look at the pros and cons of each location. This is the case where you have a style tag defined in a single location in your document containing all of your styles. This is neither scalable nor maintainable if duplicated across different pages. The inline style case is where you specify the styles you want inside the markup of the element you are styling. Simple and easy. Takes precedent over any other style rules that may target this element. Makes your HTML look awful. This is neither scalable nor maintainable if duplicated across different pages. When you are using an external stylesheet, you have all of your style rules defined in an external file. 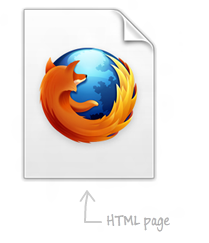 This external file is then referenced in the HTML pages you want to style. Can be reused across multiple pages. Makes maintenance a breeze where all styles are located inside one central location. 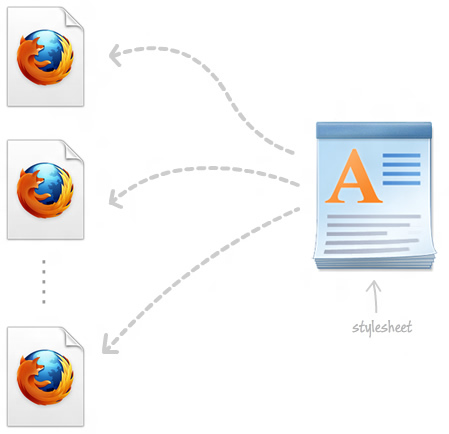 Your browser caches the CSS file, so after the initial load, you save on download size/speed. While this is partly tongue-in-cheek, it mostly does reflect my preference. I avoid inline styles as much as I can, and for everything else, I use a combination of external stylesheets and style regions in the page. This stylesheet will contain all of the styles that are reused on all or most of my pages. Any update I make to my stylesheet will be reflected in all of the pages that use it, so making broad CSS changes is as easy as just editing one file. Your browser caches the external stylesheet, so if there are no changes detected, your browser doesn't download all of the CSS data again. I defer only one-off styles to the style region of the page it is living in. In the end, having a combination of external stylesheets and a rare collection of styles inside a style region strikes a good balance between ease of use and being practical to meet all of your styling needs.